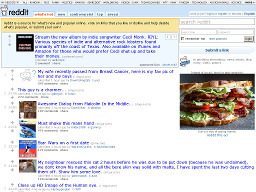 reddit.com A major social networking site - a source for what's new and popular online. Vote on existing links or submit your own. 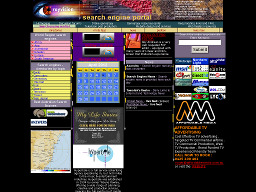 Search Engine Central A directory of search engines broken down by world region, topic and the world's best engines. 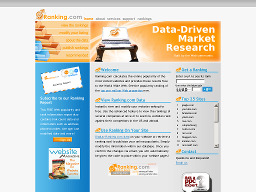 Ranking.com A free metrics resource providing data on the top 750,000 sites on the Internet. Users can search by domain, category, and refine the lists by links, UVs and pages views. Webmasters are able to modify their listing at no charge with no hidden fees. It's a totally free resource for webmasters to determine overall web popularity. A nice alternative to Alexa.com. 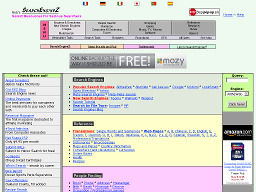 Searchenginez .com Over 100 pages of categorized search forms and tips, covering many categories and specializing in books, translations & finding people using the web. 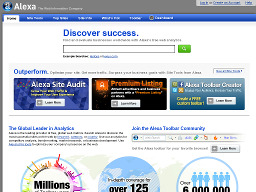 Alexa.com An unparalleled source for web information. If you haven't visited the site or downloaded the toolbar, do it now. Find ranking and registration information on any web site and search the Web's largest index of more than 3.5 billion pages. 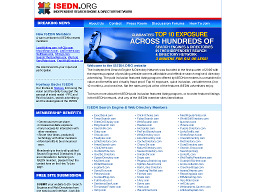 ISEDN.org (Independent Search Engine & Directory Network) was created in June, 2005 to offset the growing monopolization of the search industry. Over 145 search engines and web directories have joined the network to date.